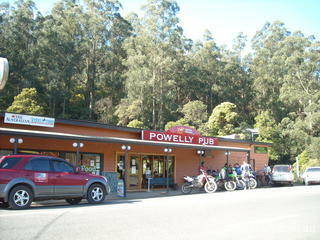 The Little Yarra Gallery, next door to the "Powelly Pub"
Powelltown's history comes from logging, and there is still a major timber mill in the middle of town. 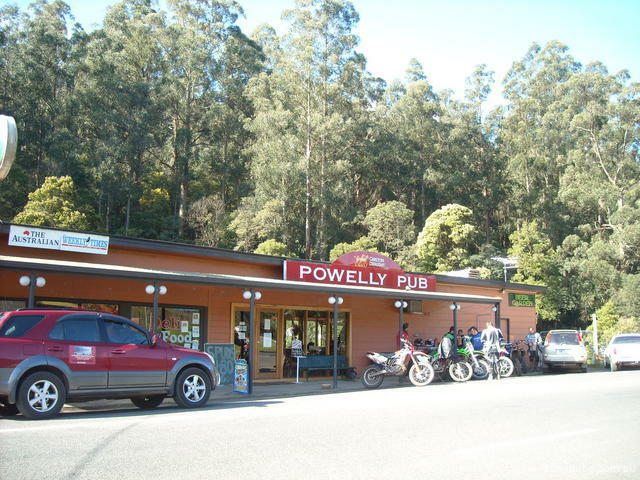 So it comes as no surprise to find that amongst business in the town, in fact, right next to the Powelly Pub, is a great gallery that promotes wooden craft of the area, many pieces made by locals of the region. 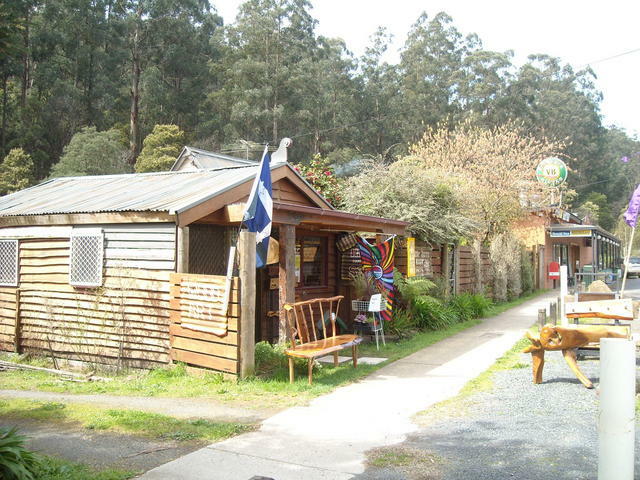 It is such businesses as Little Yarra Gallery, and their preparedness to make you welcome, advise you of the nearby attractions and scenic features of the surrounding hills that make visiting towns like Powelltown, a great weekend getaway. Thanks for Danny and Judy for pointing out the spectacular views from 7-acre Rock that you can reach via the Learmonth Creek Rd, then Bunyip Rd.... keeping an eye out for the left turn to the rock. Its a great short stroll from the parking area to crawl over the huge rock formations and view out for 100kms in an amost 270-degree view! (location: Coordinates: -37.91344540561512, 145.7501220703125, 20 minutes south of township).